Juilet Wanjiku Kamau, RLC Bonn PhD Alumna, published an article on “Soil fertility and biodiversity on organic and conventional smallholder farms in Kenya” in the journal Applied Soil Ecology. Wanjiku raises the question of how far organic agriculture can improve the livelihoods of smallholder farmers. 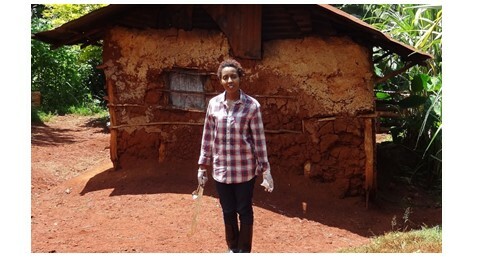 Her study evaluates and compares soil fertility, decomposition and biodiversity between conventional and organic farms in Kenya, concluding that organic agriculture does have indeed the potential to increase arthropod diversity, but other factors affect its ability to sustain the health of soils. Kamau Wanjiku, Juliet, Lisa Biber-Freudenberger, John P.A. Lamers, Till Stellmacher & Christian Borgemeister (2019): “Soil fertility and biodiversity on organic and conventional smallholder farms in Kenya”, in: Applied Soil Ecology, Vol. 134, pp. 85-97.